Many of our guests are looking to host a larger meeting event venue but with private breakout space in Sheffield. We are proud to be able to offer the perfect solution! Pair The Mowbray and The Chimney House, two iconic Sheffield buildings together over one day or several days to host your event. 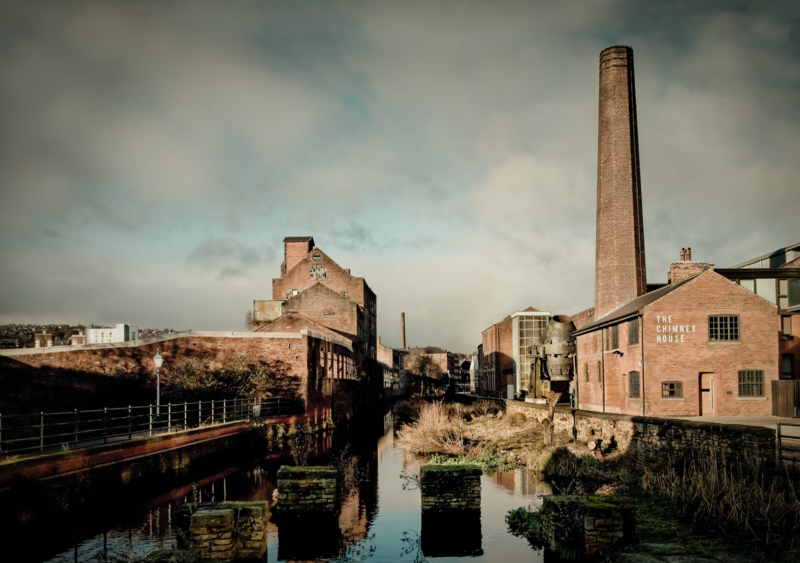 A short walk, which is partially pedestrianised alongside the waterways of the River Don connects The Mowbray in Neepsend, Sheffield and The Chimney House on Kelham Island, Sheffield. A typical scenario recently is a 100 guest Conference at The Mowbray where everyone gathered for welcome, breakfast, the morning agenda and lunch. After lunch 40 guests walked over to The Chimney House for an afternoon session and re-joined the main group after a couple of hours. The Mowbray is an independent private events space in Neepsend, Sheffield for 25 - 200+ guests that has been 3 years in the making. Our aim is to inspire with hospitality, great food and drink, architecture and design that feels cosmopolitan and meaningful, yet down to earth and accessible. We host daily meetings, away days, conferencing, workshops, training in our heavenly historic but marvellously modern building. The Mowbray has masses of natural light from original arched windows, a huge entrance way straight off Mowbray Street and charm, character and stories by the bucket load! We also have a herbarium on our roof garden on the first floor. We have designed The Mowbray to be as flexible and useful as our guests require - with a multitude of floor layouts and chairs that are both comfortable and practical. We have multiple power sources, a hidden screen, wireless projector, state of the art audio system and full building high speed wi-fi as standard. 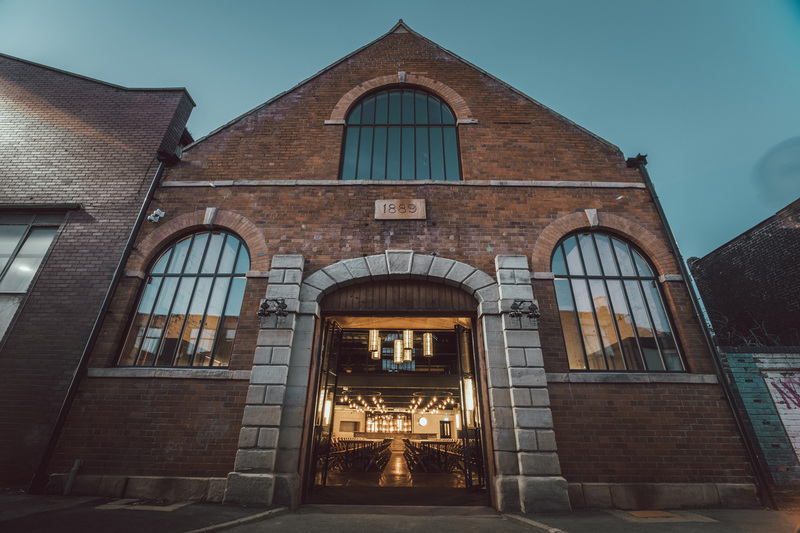 A restoration project that has spanned 3 years, The Mowbray is a culmination of hard work, endeavour and spirit to transform two derelict buildings from 1889 into one that champions our Sheffield heritage through bricks and mortar, feeling and soul. The entire restoration has been masterminded by our award winning agency 93 who sit in a state of the art studio in the rafters above The Mowbray. From here we have created bespoke furniture and lighting designs especially for The Mowbray including chandeliers, wall lights, the bar, tables et al. These designs have been made in our Kelham Island workshops - a few steps away from The Mowbray. We are proud to have used local suppliers, fabrication factories and artisans within a mile's radius of The Mowbray. Antiques and key pieces have been sourced for their beauty and story - as well as bringing a feeling of deluxe choice and originality. We've been collecting pieces for this very purpose for years and each piece has been restored in our workshops. We're proud to present The Kitchen at The Mowbray. A full commercial kitchen and expert Mowbray chef team means we can cater for your event then and there! Beautifully fresh bakes, cakes, breakfasts, lunch, afternoon snacks, supper, dinner and more from our on-site creative kitchen. Plus - if you fancy a cold glass of champagne to toast the day or a pint to seal the deal then we can help with that as well from our fully licensed bar! The Kitchen is at the heart and soul of The Mowbray. We have developed our own feasting style to suit every occasion from when the sun rises until the stars come out, we’ve got it covered. For lovers of our Sheffield heartland and supporters of local, regional and Yorkshire food explore our seasonal menus and enjoy the luxury of one to one consultations with our head chef. Gather with friends and family to feast around long easy tables using luxury Sheffield cutlery crafted by our friends at W. Wright just a step away from The Mowbray. Our Sheffield Meeting Rooms are ultra modern, flexible spaces for 4 to 55 guests. Daily hire starts from £180-£275. Rooms are exclusively yours, giving you a private and unique space to conduct the matter of business. We host meetings, trainings, brainstorming sessions, workshops, away days and conferences as well as product launches, interviews, filming and photoshoots on a daily basis. Light, airy with plenty of table space, multiple power sources, hidden screen, wireless projector, state of the art audio system and full building high speed wi-fi. Need to break out? We can help, with a choice of 2 additional rooms for hire.